A guide to completing Python projects for those ready to take their skills to the next level Python Projects is the ultimate resource for the Python programmer with basic skills who is ready to move beyond tutorials and start building projects. The preeminent guide to bridge the gap between learning and doing, this book walks readers through the "where" and "how" of real-world Python programming with practical, actionable instruction. With a focus on real-world functionality, Python Projects details the ways that Python can be used to complete daily tasks and bring efficiency to businesses and individuals alike. 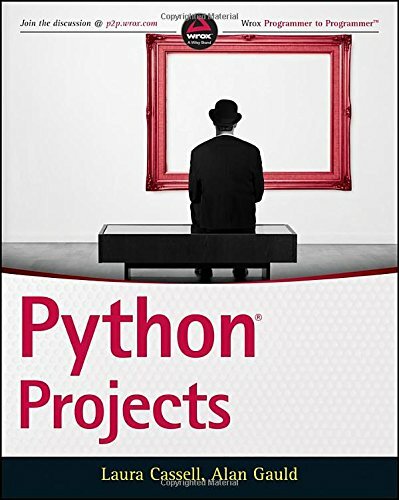 Python Projects is written specifically for those who know the Python syntax and lay of the land, but may still be intimidated by larger, more complex projects. The book provides a walk-through of the basic set-up for an application and the building and packaging for a library, and explains in detail the functionalities related to the projects. Topics include: How to maximize the power of the standard library modules Where to get third party libraries, and the best practices for utilization Creating, packaging, and reusing libraries within and across projects Building multi-layered functionality including networks, data, and user interfaces Setting up development environments and using virtualenv, pip, and more Written by veteran Python trainers, the book is structured for easy navigation and logical progression that makes it ideal for individual, classroom, or corporate training. For Python developers looking to apply their skills to real-world challenges, Python Projects is a goldmine of information and expert insight.